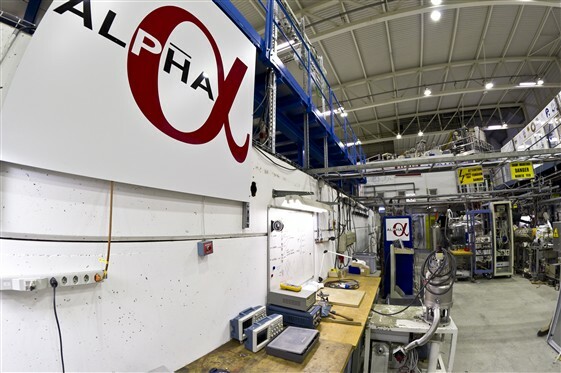 First measurements of the line-shape of the 1s-2s in the antihydrogen atom are reported in a paper published in Nature, by the ALPHA collaboration, where Fysikum is a partner. The line shape agrees with ordinary hydrogen to a relative precision of 2×10-12, and thus puts an upper limit to the possible violation of matter-antimatter symmetries. In the history of modern physics, the hydrogen atom has played a central role. Starting with the identification of transition lines by Balmer, Lyman and others, and their universal description by the Swede Janne Rydberg in his famous formula, leading Niels Bohr to formulate his theory of the hydrogen atom, one of the steps towards the modern quantum theory. Further studies of the hydrogen atom revealed unexpected features such as fine structure and hyperfine structure, which deepened our understanding of relativistic effects. The unexpected discovery of the Lamb shift showed that the Dirac equation was not enough, and led to the development of quantum electro dynamics (QED). More recently, the 1s-2s line in ordinary hydrogen has been measured to a precision of a few parts in 1015. Here we continue along this path with the first precision spectroscopy on antihydrogen. According to one of the corner stones of the standard model, the CPT (charge conjugation, parity and time reversal) theorem, hydrogen and antihydrogen must have identical spectra. The goal of ALPHA is to challenge the standard model, by comparing the spectral lines of antihydrogen to measurements on ordinary hydrogen. So far, we have not observed any deviations, but we believe that our current limit could be pushed further in the near future. Our measurement of the spectral line shape follows the first successful laser induced transition in late 2016 (Nature 541, 506 (2016)). Since then our methods for creating and trapping cold antihydrogen have improved dramatically, from on average 0.1 antiatoms per trial in the first attempts (Nature 468, 473 (2010)) to up to 1000 atoms in one go last year (Nature Communications 8, 681(2017)). This opens new possibilities to study other properties of antihydrogen. We have previously also reported on the so-called 21 cm line, a line which is important for studying the universe through radio astronomy, in antihydrogen (Nature 548, 66 (2017)), where a precision of 4 parts in 104 was achieved (also consistent with ordinary hydrogen). For the coming year our plans are set on gravitational tests with antihydrogen (does it fall with the same rate as ordinary hydrogen?). To improve our spectroscopy measurements, we also plan to chill the antihydrogen using laser cooling.